BREAKFAST INCLUDED Buddha Hostels, inspiring & innovating. From the success of the Secret Buddha we are pleased to give birth to our new space, the Urban Buddha. 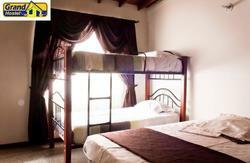 We have tailored our hostels as unique expressions, to reflect the essence of the green city of eternal spring. 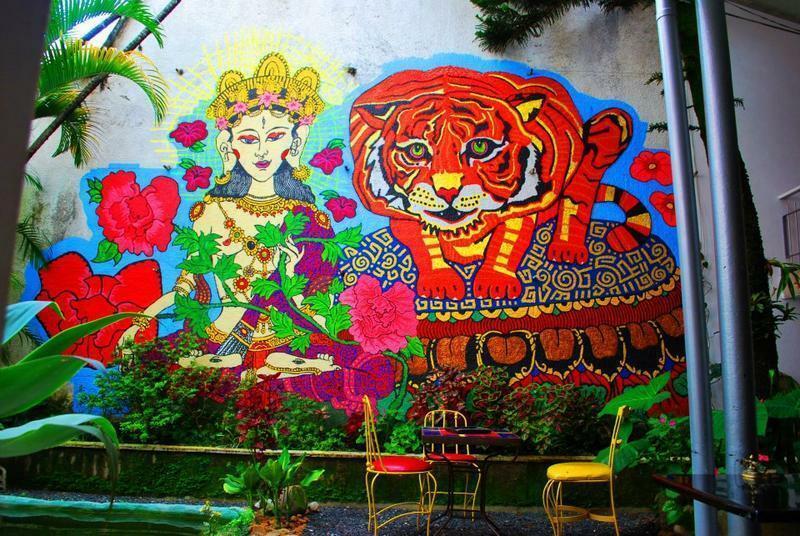 The Urban Buddha is a hostel that fuses retro-Asian design with the original Art Deco architecture of a home built in 1953 located in Laureles, the most prestigious residential sector in the heart of Medellin. 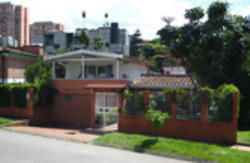 Located only 5 minutes from downtown, the Stadium, and the Zona Rosa (tourist party area), in front of the Bolivariana University and within walking distance from 70th st & 33rd ave (more traditional party streets), you can walk safely day & night in the realm of a serene green environment. The Urban Buddha proposes a new concept which unites culture, art, adventure and foremost a place to unwind and relax, paving a natural platform of exchange between visitors and locals. Our 600m home splits in two levels, housing bright and airy dorms and private rooms, a spacious balcony, and a large patio area and garden with koi pond to complete the space. The Urban Buddha will soon become a cultural home where art exhibitions, independent film and music can be enjoyed by each individual traveller regardless of nationality or age. An original refurbished 1950s massive kitchen is fully stocked with all the toys for all to use. Since food plays a major role for anyone travelling whether it is for need or for love, Buddha Hostels is a shrine to exotic flavours, which you are invited to feast on with our home cooked meals. We also have a front deck to chill as well as giant puffs facing a 42 HD LCD flatscreen with Direct TV 24hr, Playstation 3 and a DVD player with an extensive video library. For our adventure seeking friends if you wish to see Medellin from the sky you can do so in the most natural way there is to fly ; paragliding. Feel like having your feet closer to the Earth but wish to have a bit of a rush, then climb the second largest rock on the planet, horseback ride in la burroteca(horse disco) through the forest hillside of Medellin or Pub Crawl with us. Backpacking is a lifestyle, a journey, an opportunity for self-expression; it is not just about where you go but who you know along the way. Let Buddha Hostels deliver this with Love. Metro Station: Estadio (15 minutes walk) or Exposiciones (20 minutes walk). Frequent buses to Laureles. Take the metro from the bus terminal, the station is called 'Caribe' (in the direction of Itagu) until ' San Antonio' where you have to change to the line to San Javier and get off at 'Estadio'. From there you can take a taxi (it should cost around 4.500 COP), or walk for 15 minutes or take a bus to Santa Teresita where you get off at the church and then walk along Calle 35 which leads to Circular 73A, and the hostel is one block down on the left hand side. Our full address is Circular 73A # 38-55, neighborhood Laureles. Take the green and white buses that say Aeropuerto (cost 8.000 COP) and get off at San Diego shopping centre, where you can get a taxi for around 8,000 COP to the hostel. Take the bus that says Commercial Hoteleria to Avenida Nutibara. Get off the bus at the Euro supermarket (just after Pepe Ganga) and walk two blocks up Circular 73A, and the hostel is on the right. Or take a taxi, which should cost no more than 10,000 COP. Take the bus that says Commercial Hoteleria to Avenida Nutibara. Get off the bus at Euro supermarket (just after Pepe Ganga) and walk two blocks up Circular 73A, and the hostel is on the right. Or take a taxi, which should cost no more than 10,000 COP. Our full address is Circular 73A # 38-55, neighbourhood Laureles. Explain to any taxi driver to take you to Avenida Nuitbara and to turn left at the new Euro supermaket.